Galia Lahav is a bridal and evening haute couture design house, which masters in the art of creating luxury dresses. After concurring the bridal industry Galia decided to add a lower-cost bridal line to her collection. The designs signature her illusion backs, low necklines and amazing detailed lace. 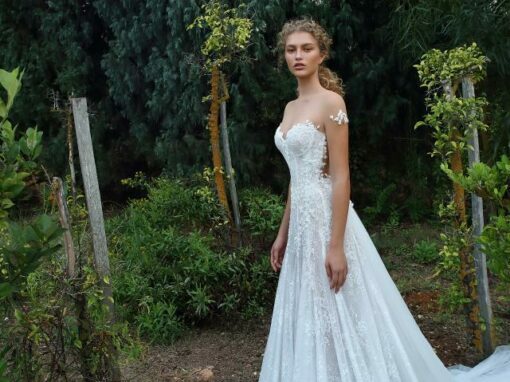 The Gala by Galia Lahav collection is exclusively available at Bloomfeld in the Netherlands and Belgium.